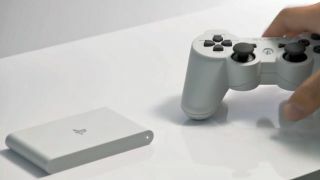 When Sony announced its new, affordable PS Vita TV games and media streaming device would only be available in Japan, pangs of disappointment reverberated around the US and European tech circles. However, thanks to a strong reception for the multi-purpose device outside of the Land of Rising Sun, Sony's now thinking of a wider roll out in its western territories. Sony Computer Entertainment SVP and Division President of Business Division 1, Masayasu Ito, says a launch is on the cards, but that the timing had to be right. He told Engadget: "During the presentation yesterday, the European and American users showed a very strong response, more than we expected, and there has been a strong inquiry, request, demand that they want the product." "Of course we are thinking of launching in the EU and US, but in terms of timing we have to watch the timing and watch the environment carefully." The $100 (around £60) smartphone-sized accessory allows users to buy and stream games from the PlayStation Portable back catalogue, as well as the PS Vita games that don't require access to the touchscreen and rear touchpads. Users will require a PS3 Dual Shock 3 controller in order to use the device, which is purchased separately or bundled in with the micro-console. The device can also be used to stream PS4 content into another room in the house, so if gamers want to move the action to the bedroom (don't we all? ), and continue playing, they can do so with ease. As well as Remote Play-style gaming, there's also a selection of familiar on-demand entertainment apps allowing PS Vita TV to rival the likes of Apple TV. With all that functionality at such a modest price point, it's little surprise PlayStation fans are clamouring for this device to be freed from its Japanese shackles. Watch this space! Did you know PlayStation fans are going to have to wait until 2014 in Japan? The horror!